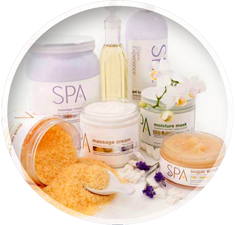 Includes the basic steps of a regular pedicure service with the use of a spa organic Dead Sea salt soak and an additional step of exfoliation using Spa Organics sugar scrub. Includes all the steps of a Level 1 Spa Organics Pedicure with an additional replenishing and moisturizing Spa Organics mask. Includes all the steps of a Level 2 Spa Organics Pedicure with a pampering finishing massage using Spa Organics massage cream, leaving the skin smooth and hydrated. Includes the basic steps of a spa manicure service with a Spa Organics Dead Sea salt soak and a refreshing moisturize mask. Includes all the steps of a Level 1 Spa Organics Manicure with an additional replenishing and moisturizing Spa Organics mask. Finishing the service with a refreshing massage using Spa Organics massage cream.